Please scroll down for Irish international results so far in 2018. 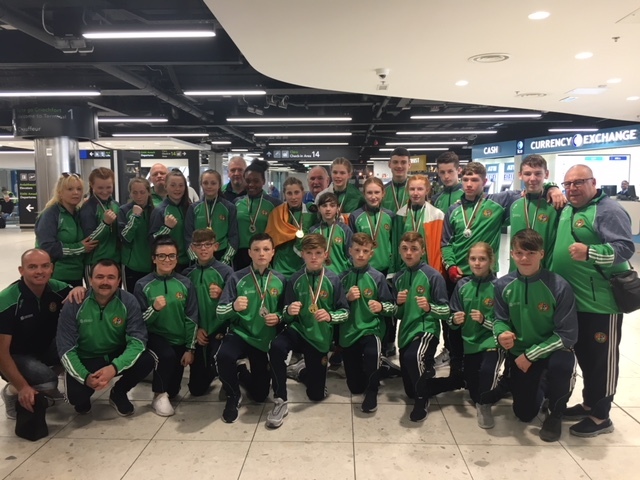 Irish boxing is enjoying a tremendous year in European and multi-nation competition with 32 medals claimed up to July. Moreover, no Irish squad has finished outside the top ten in the medals table in any tournament entered. Ireland’s Elite athletes also went unbeaten in the World Series of Boxing (WSB) this year, with three-time European Elite champion Joe Ward recording a hat-trick of wins for the British Lionhearts and Caoimhin Agyarko-Hynes chalking up one win for Italia Thunder. It’s expected that the 2019 WSB season will be a qualifier for Tokyo 2020. Three of the record eight Irish boxers – Paddy Barnes, Michael Conlan and Steven Donnelly – that qualified for Rio 2016 booked tickets through the WSB. Conlan also qualified for the 31st Olympiad after winning gold at the AIBA World Elite Championships, Ireland’s first (male) title at this level – but he qualified via the WSB first. If Katie Taylor is retrospectively taken out of the equation (because there is no WSB for women), 3 of the 7 Irish male boxers – a 42% return – qualified for Rio 2016 through the WSB. 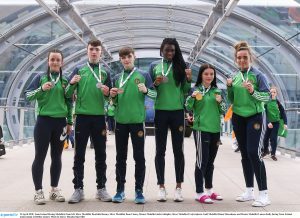 Meantime, the World Women’s Elite Championships, the Youth Olympics and the European Juniors – and multi-nations tournaments – remain this year before the final international medal count is in for Irish boxing in 2018.